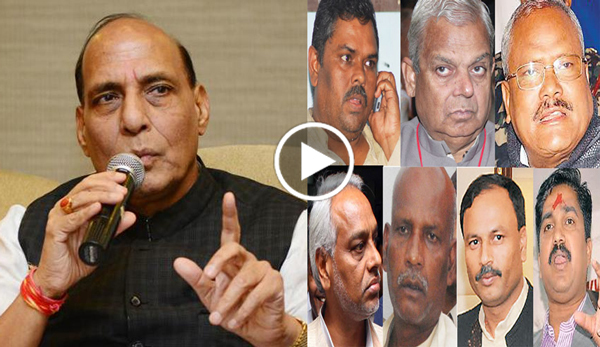 Indian Union Home Minister Rajnath Singh said that Indians would be protected in Nepal. Indian Union Home Minister Rajnath Singh said that Indians would be protected in Nepal. News in indiatoday about India Union Home Minister Rajnath Singh about Nepal is making International headlines today. Rajnath Singh said " Union Home Minister Rajnath Singh has said that the Indian government is concerned about Indians living in Nepal, considering its present political situation. Rajnath Singh (born 10 July 1951) is an Indian politician belonging to the Bharatiya Janata Party (BJP) who currently serves as the Home Minister of India. He previously served as the Chief Minister of the state of Uttar Pradesh and as a Cabinet Minister in the Vajpayee Government.